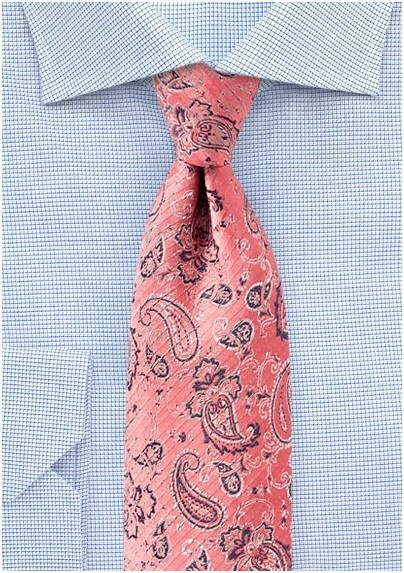 This bright coral pink hued tie will turn heads and strikes conversation anywhere you go. If the design, color, and fabric texture is not enough to turn some heads, then the fact that designer BlackBird wove the fabric using yarns that once were plastic water bottles makes a statement! 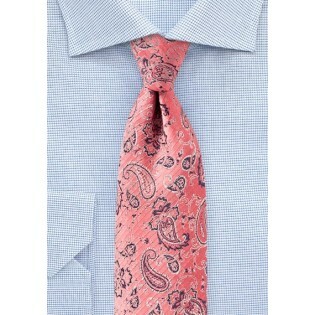 Pair with blues on shirt and suit for best looks. Also available in gold, teal, aqua, and cherry red.